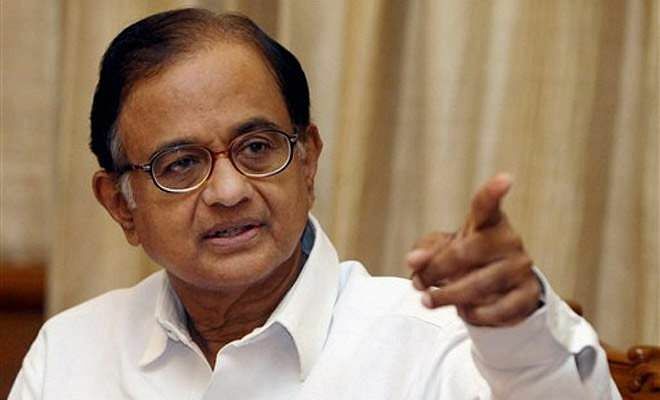 New Delhi, Dec 12: Congress leader P. Chidambaram on Monday said former Prime Minister Manmohan Singh is "absolutely right in demanding an apology from Prime Minister Narendra Modi for his "outrageous" allegations regarding a meeting with a Pakistani leader and a diplomat. "Former Prime Minister Manmohan Singh is absolutely right in demanding an apology for the outrageous allegation made on Sunday against him, former Vice President (Hamid Ansari) and other distinguished former civil servants," Chidambaram said in a tweet. Earlier, Chidambaram attacked Modi for levelling allegations against his predecessor Manmohan Singh and Ansari during the Gujarat election campaign. "Is winning an election so important that such allegations can be made against a former Prime Minister and a former Vice President?" Chidambaram tweeted. Chidambaram said the Bharatiya Janata Party's campaign in Gujarat in the last few days, especially on Sunday, had gone "beyond bizarre". "Should a political party go to any length to win an election?" The former Union Minister was referring to Modi's insinuation at a public meeting on Sunday in Gujarat that Singh and Ansari attended a dinner at Congress leader Mani Shankar Aiyar's house where a former Pakistan Foreign Minister and the current High Commissioner of that country in India were also present. Modi claimed that the guests at Aiyar's house, including Manmohan Singh, Ansari, and former Army chief General Deepak Kapoor, discussed the Gujarat polls with Pakistan's High Commissioner to India and former Pakistani Foreign Minister Khurshid Kasuri, among others, suggesting that the Congress was conspiring with Pakistani leaders to prevent the BJP from winning the state elections.